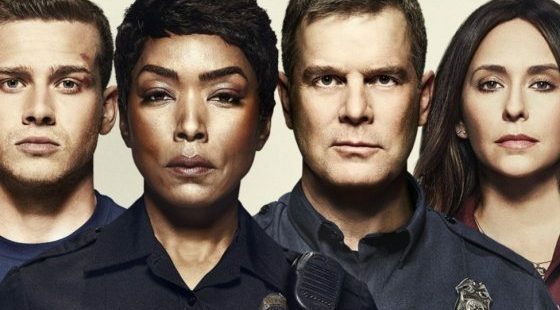 9-1-1 is a pretty new show on Sky Witness. It’s currently on series 2 but there’s only 10 episodes a series so nice and easy to catch up on! 9-1-1 is a drama based around the lives of emergency first responders. We say the exciting scenarios they face, how they put their lives on the line and the dramas they have in their own lives too. What makes this show different from the others? Well, I think it’s the representation and being unafraid to deal with some challenging topics. In series 1 we meet Abby (Connie Britton), dealing with loneliness and supporting her ill mother on her own. We meet Bobby (Peter Krause), the fire captain who’s hiding secrets that are destroying him. We meet Athena (Angela Bassett)- a fiery female cop who is incredible at what she does but deals with keeping her family together through a divorce. My favourite character during series 2 has become Hen, short for Henrietta. She is great because we see just how hard she worked to be and EMT when she discovered that’s what she was meant to do. As a black, gay woman, we see this character battling with the sexist systems in the fire service and putting them all to shame. Every character in this show is well thought out. They are not there for filler, we learn about all of them and grow to love them, due to the honesty about how difficult life is for all of them in some way. And whilst we learn about each character we also get to see so many interesting scenarios and lives saved! From bouncy castles on the loose, the collapse of buildings due to earthquakes, killer snakes and all manner of car crashes. So why are you still reading, go and stream it now on prime video.